They were great, reliable and well priced. We like that they're a family business, they were fast, and they tried to keep costs down for us. They are simple, easy, trustworthy, and fast. I liked that there were no complications. The work is very good but there can be a long wait. The work is very thorough and I trust them. They never create a bigger problem than there already is. 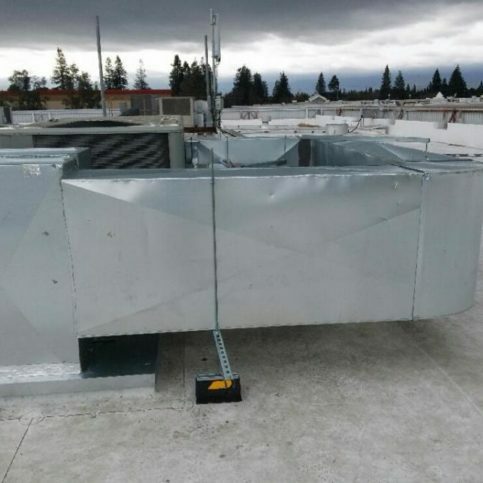 Calvey Heating & Air provides a complete range of HVAC services for residential and commercial clients in San Mateo and Santa Clara Counties. 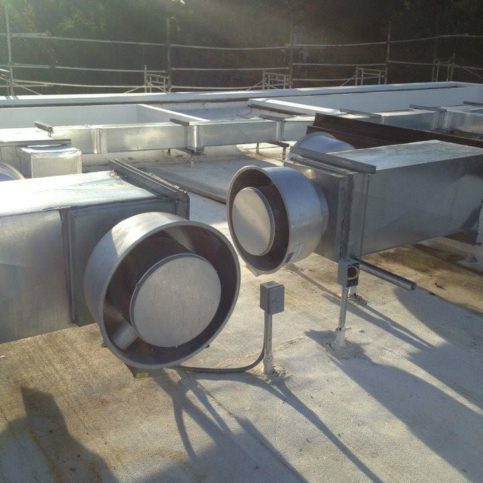 In addition to installing, maintaining, and repairing heating and air conditioning systems, the family-owned company has the training and equipment to clean air ducts and dryer vents, fabricate and inspect ductwork, install indoor air quality products like air purifiers and humidifiers, and more. 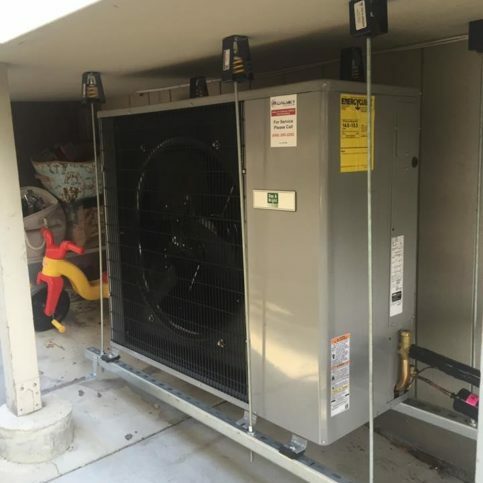 Calvey Heating & Air recently installed this HVAC unit. 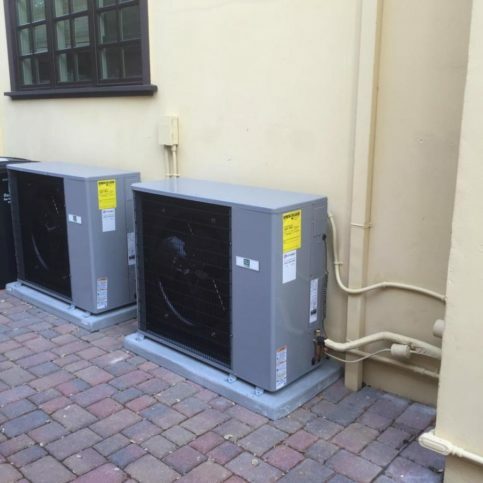 Calvey Heating & Air has been providing HVAC services for residential and commercial clients in San Mateo and Santa Clara Counties since 2008. 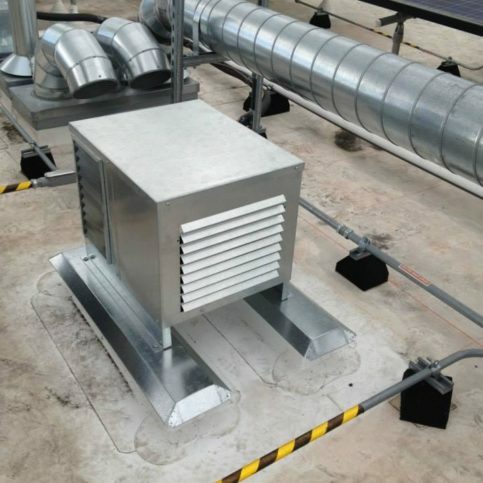 In addition to installing and repairing all types of heating and air conditioning systems, the family-owned company has the in-house capabilities to clean air ducts and dryer vents, fabricate and inspect ductwork, install indoor air quality products, and more. If you’re installing a new HVAC system in your home, take steps to make the most of your investment. Choose a reputable installer. In addition to avoiding the cheapest HVAC system, it’s a good idea to avoid the cheapest installer. If you find an HVAC company that charges significantly less than most, there’s probably a reason for it. 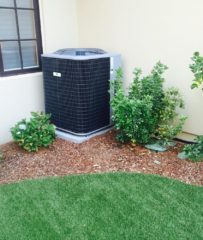 Whether they lack proper expertise, circumvent legal requirements like permits or are running a bait-and-switch operation, choosing the cheapest HVAC installer can end up costing you more in the long run. Instead, choose a company that has a good reputation, maintains industry certifications and adheres to legal requirements. Get a good warranty. 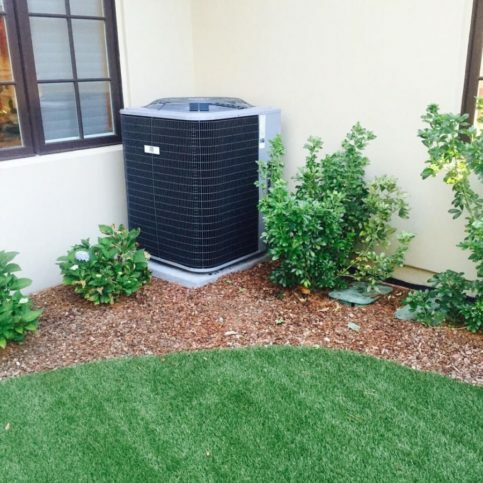 When it comes to an expensive investment like a new HVAC system, the value of a strong warranty can’t be overstated. “Even you pay an extra $500 for a company that offers a better warranty, it’s worth it to get that extra assurance,” affirms Mr. Calvey. In addition to the installer’s labor warranty, ask what kind of manufacturer warranty comes with the unit. 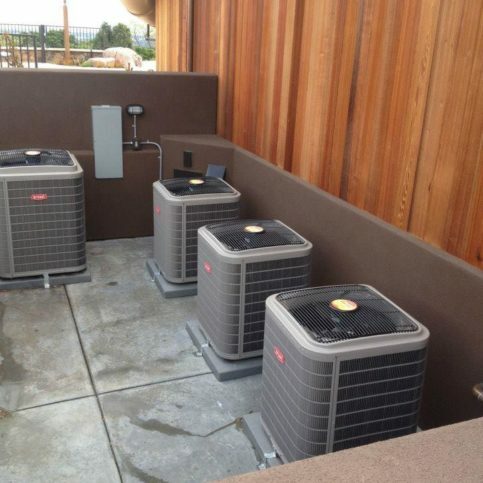 Q: What kind of HVAC system do I need? Q: How soon can you install my new system? Q: Will there be any hidden costs in your estimate? Q: How often should I change the filter in my HVAC system? Joe Calvey is a 13-year veteran of the HVAC industry and owner of Calvey Heating & Air, a Diamond Certified company. He can be reached at (650) 525-4554 or by email. A: Buenos Aires, Argentina. I’ve heard it’s an amazing city, with great food and really nice people. A: I used to mainly listen to music, but these days I listen to a lot of podcasts. Q: What’s your favorite podcast? 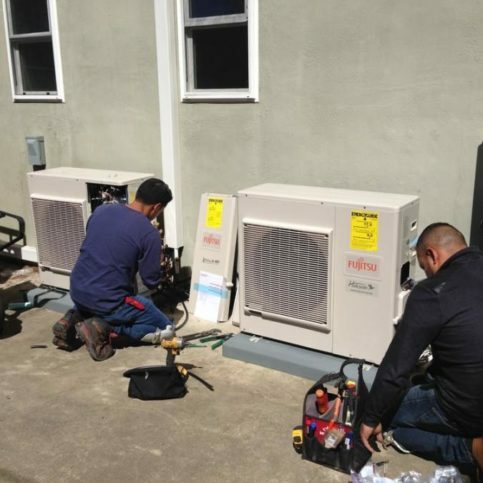 MOUNTAIN VIEW — A lot of homeowners are interested in lowering their gas bills, especially when it comes to running their heating and cooling systems. 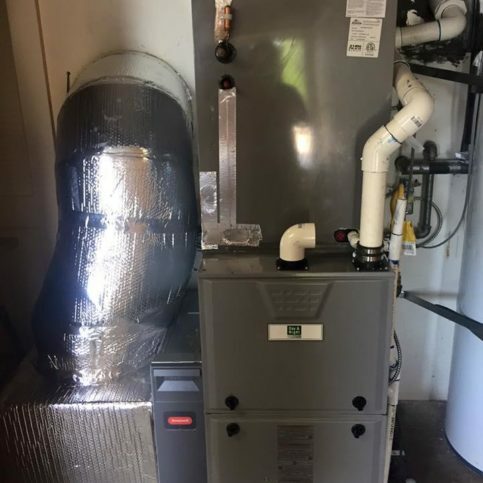 One great option for those who have or are planning to install solar energy systems is switching to a high-efficiency heat pump. While converting an HVAC system’s power source from gas to electric would normally be more expensive, if you’re getting your electrical from solar, you stand to save a lot of money. If you don’t already have a solar energy system, this may seem like merely swapping one expense (gas) for another (the cost of installing a solar system). However, switching to solar isn’t as expensive as you might think. Currently, there are numerous programs devoted to helping California homeowners finance solar energy systems. There are also various rebates and incentives available, such as a 30 percent federal tax credit. Talk to an HVAC professional to learn more about how solar power can reduce the cost of running your HVAC system. 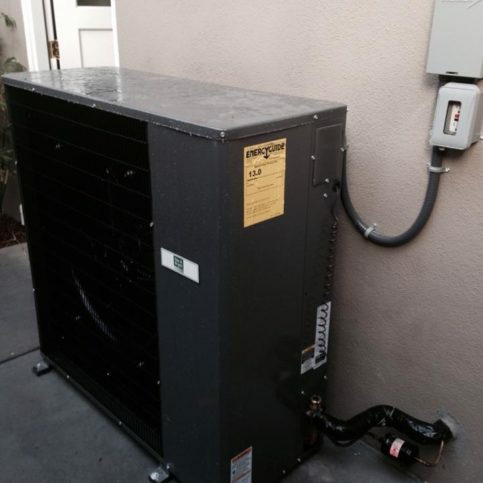 MOUNTAIN VIEW — Host, Sarah Rutan: If you’re switching to solar energy, you’ll be glad to know there’s a way to reduce your heating and cooling costs in the process. Today we’re in Mountain View with Diamond Certified Expert Contributor Joe Calvey of Calvey Heating & Air to learn more. This will basically get away from needing gas altogether. And you can use your electricity to utilize this. And there’s so many programs out there right now that will fund you if you don’t have the money to switch over. Because it can be costly to do so. And by getting away from natural gas, you get a healthier system, you save money, and it is compatible with solar. And you won’t be reliant on gas anymore. Calvey Heating & Air : Average 9.3 out of 10 based on 100 unique customer surveys of customer satisfaction. They were on time and they make things happen fast. I have recommended them to other customers. Joe, the owner, gave good service and the installation was fast. They were honest, reliable, and had good service. They were available for questions or call backs. We had a problem which was hard to figure out. I think this was because I called someone else before Calvey and they couldn't figure it out. The Calvey guy was quick, correctly identified the problem, and fixed it. I had no complaints. They were very professional, fast and nice. They're courteous, prompt, and do what they say they will do. The promptness is my favorite thing. I had an excellent experience with them. They were prompt, well organized, and answered all the questions. And I was happy with the work. I feel like they did excellent work. They didn't just do the installation, they also fixed up things that were adjacent to it. They will exceed your wildest expectations. They were straightforward with their options. They gave us their honest opinion instead of just trying to persuade me to do something expensive to gain more profit. They were very timely, they clean up after themselves, and they had shoe covers. The timeliness, they started and ended when they said they would. They are very responsive. They got to me faster than anyone else in the middle of a heat wave. I like how helpful they are. They guided me through some quick fixes that I could do myself. I liked how straightforward they were. I got a quote quickly and it got done. They're a courteous, professional, and timely company. I liked interacting with Joe the best. That they are in the BBB and have good star rating, and that they have a very friendly staff. That's what I would tell people. They are friendly and knowledgeable, from the phone call to the actual visit. They are friendly and approachable. 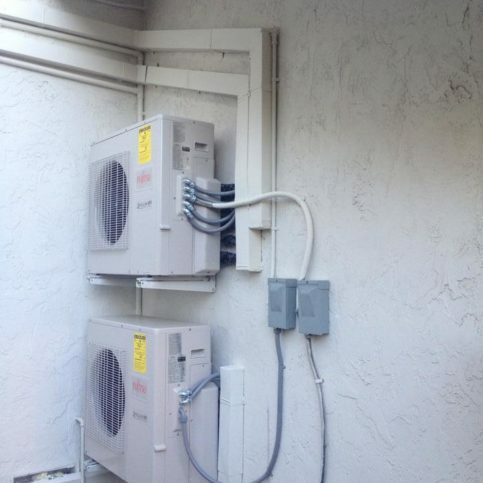 The overall service, we ended up being very happy with our installation. I have used them before and they are always on time, always do what they say, and always follow up if there are any problems. They are very dependable and contentious. I'd tell them that they put in our heater and our AC and we have been warm and cool when we want to be. We have had no problems. I thought they were very flexible and friendly, and easy to coordinate. They were also straightforward and did a good job.